Join other adults who enjoy reading and discussing books about natural history. Each month the group gathers to discuss a different book or natural history subject. 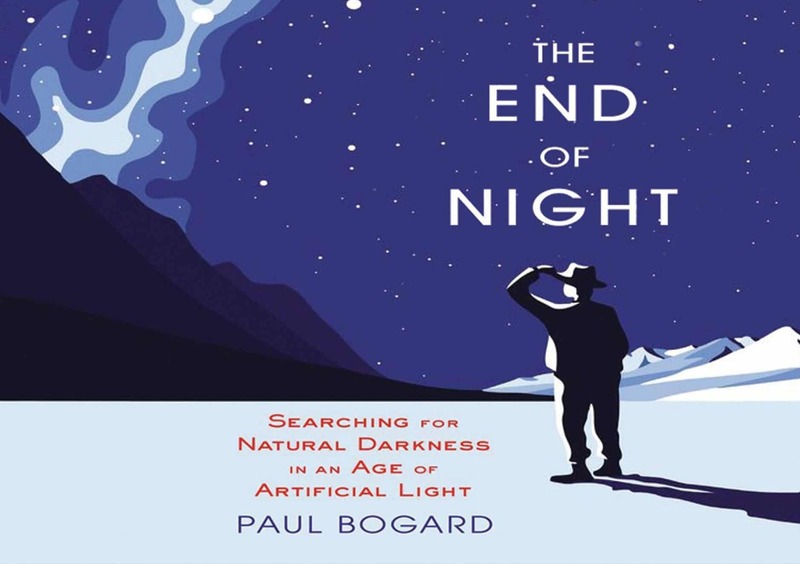 For the February 22nd discussion, the group selected The End of Night: Searching for Natural Darkness in the Age of Artificial Light by Paul Bogard. Anyone interested in discussing this book is welcome to join the group. Future dates and book choices will be decided on by the group at the February meeting. We hope you can attend! Possible future readings include books on evolution and adaptation, Selfish Gene or The Blind Watchmaker by Richard Dawkins, Why Evolution Is True by Jerry A. Coyne and Ever Since Darwin or the Panda’s Thumb by Jay Gould. The group welcomes you to bring your book ideas to the February meeting. The group will be selecting three reads so that it gives everyone some schedule flexibility to get the book and read it. The February meeting will be held at Panera in Ranson on Oak Lee Drive off WV 9. Laura Clark will be leading this discussion and will have a copy of the book visibly displayed where they are sitting so that anyone joining will know which group is the book group. If you have questions about the book or the next meeting details, please contact Laura Clark at outfitter1996@hotmail.com. If you have questions about the book group organization in general, you may also contact Krista Hawley at adultprograms@potomacaudubon.org.